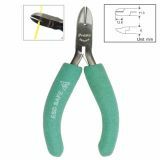 Cable cutter and stripper, 0.75-6mm2, Newbrand Cable cutter and stripper for wires. Comfortable, ergonomic and suitable for hard work. Cutting pliers CAFER, 55 / 215mm, side cutting Cutting pliers CAFER with a total length of 215 mm and length of 55 mm working part with the possibility of side-cutting diagonally, two-component ergonomic handle. 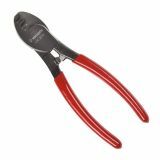 Pliers cutters, straight, Knipex 70 01 160, 160mm Diagonal Cutters KNIPEX 70 01 160, vanadium electric steel. 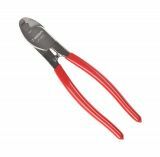 Pliers for high voltage wires, side cutting Pliers cutters with a total length of 200 mm and a working length of 20 mm with the possibility of lateral diagonal cutting, two-component ergonomic handle. 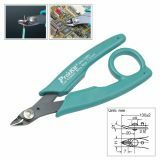 For cutting cables with solid copper wires, braids or other types of hard to cut wires. Side Cutter Pliers, 8PK-25PD, 130 mm Diagonal cutters with dimensions 130 x 50 mm and hardness 50 ± 3 HRC. Suitable for household and professional usage. Attention! Turn off the electricity before using the tool! 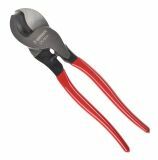 Pliers Cutters, 1PK-A202, 150mm Pliers, cutters, side, 1PK-A202, hardened with 45 ± 3 Rockwell, size 150 mm. 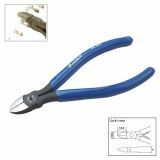 Side Cutter Pliers, PM-737, 108 mm Diagonal cutters with dimensions 108 x 55 mm and hardness 53 ± 3 HRC. Suitable for household and professional usage. Attention! Turn off the electricity before using the tool! 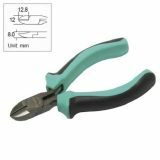 Side Cutter Pliers, PK-291, 125 mm Diagonal cutters with dimensions 125 x 55 mm and hardness 45 ± 3 HRC. Suitable for household and professional usage. Attention! Turn off the electricity before using the tool! 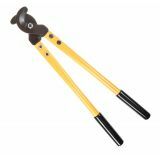 Side Cutter Pliers, 1PK-239, 125 mm Diagonal cutters with dimensions 125 x 55 mm and hardness 45 ± 3 HRC. Suitable for household and professional usage. Attention! Turn off the electricity before using the tool! 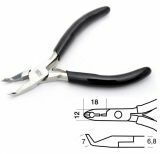 Diagonal Cutting Pliers 8PK-905 Diagonal Cutting Pliers 8PK-905 with overall length 125 mm made of high quality chromium-vanadium steel. Suitable for household and professional usage. 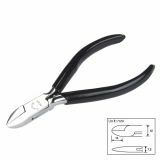 Side Cutter Pliers, PM-037CN, 115 mm Diagonal cutters with dimensions 115 x 55 mm and hardness 43 ± 3 HRC. Suitable for household and professional usage. Attention! Turn off the electricity before using the tool! 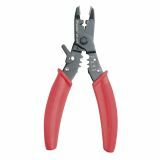 Cutting Crimper Pliers, CP-415, 165 mm Crimping pliers, crimping, crimping CP-415, size 165 mm. Application of pliers - intended for work in electrical engineering. Do not use under voltage. 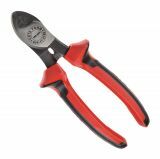 Cutter Pliers, 608-330, 165 mm Diagonal cutters with dimensions 165 x 55 mm and hardness 45 ± 3 HRC. Suitable for professional usage. Attention! Turn off the electricity before using the tool! Side Cutter Pliers, PK-396A, 110 mm Diagonal cutters with dimensions 110 x 55 mm and hardness 48 ± 3 HRC. Suitable for household and professional usage. Attention! Turn off the electricity before using the tool!